Sometimes it is easy to know a roof is damaged because there is a leak or missing shingles. But often times the damage can only be detected by a professional inspector. If you think you have hail damage, the first step is to record the time of the hail storm and the reported size of the hail stones. Pictures are great evidence and usually storms with hail are widely reported by the news and other media outlets. 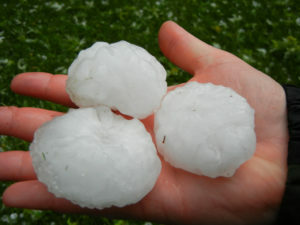 Most Colorado roof damage is the direct result of some type of hail, ice, snow or frozen object. An object that is hard. A good step is to contact RME for a professional inspection. Each type of roof has unique signs of hail damage that our team is trained to see. We will come inspect your roof and write a detailed description of the damage, complete with pictures. 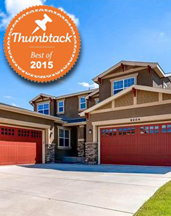 Our inspection will include damage to flashing, drains, and other areas of your roof that might need repaired. Following the inspection we recommend you contact your insurance and request that an adjuster visit your house. Colorado roof damage is one of the leading reasons for insurance claims on residential properties. Having a roof inspection and estimate will make the process easier for you and faster to file a claim. If you are wondering how long you have to file a hail damage claim on your roof in the state of Colorado, the answer is most insurance companies recommend filing within a year. To be sure about the time you have, it is always best to review your policy. Rocky Mountain Enterprises is here to assist you in fighting for the best possible solution to fixing your damaged roof. While you might have a year to file a claim, we recommend you file a claim as soon as possible after the hail storm. That way you avoid further damage to your house from possible leaks. If you are wondering if you have roof damage from last spring’s storms, contact us today and schedule your roof inspection. Identifying Colorado roof damage from hail on your belongings, such as patio furniture or your car, is relatively straightforward. The round dings in metal are obvious signs of hail damage. However, determining whether your roof has sustained damage from a hailstorm may be a little more difficult. It’s important to keep your roof in top condition to avoid structural deterioration that may cause leaks. Many insurance companies will consider paying for a roof that has been damaged by hail, but it must be correctly assessed. Insurance adjusters will require the opinion of a professional roofing contractor before they will consent to the work being done, but you can also check for hail damage yourself before calling a roofer by following these tips.